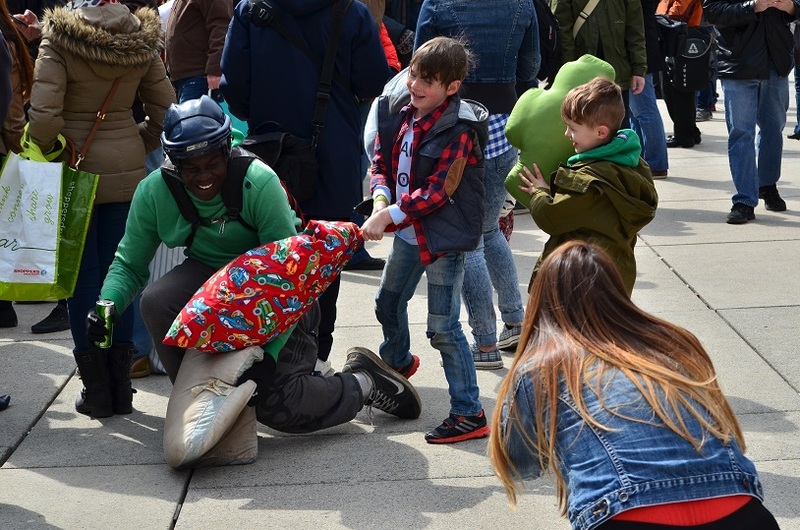 They came wearing pyjamas, goggles, helmets, shields and even superhero capes. 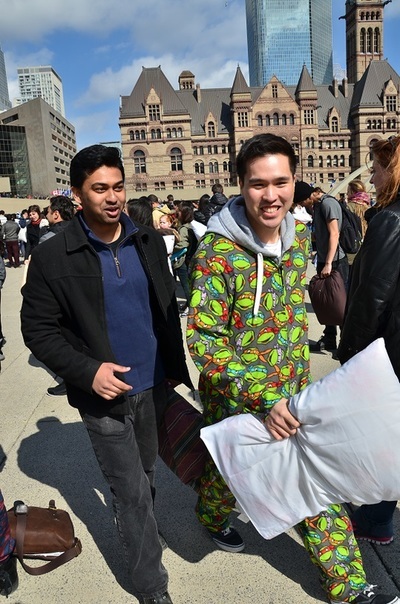 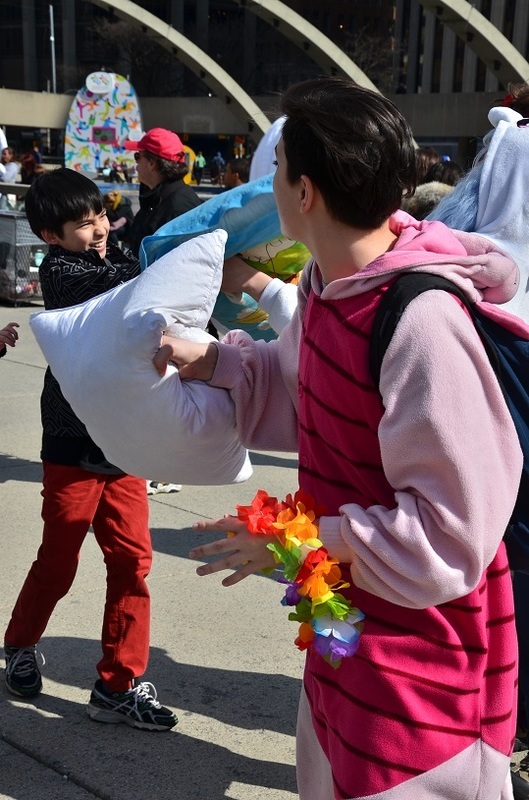 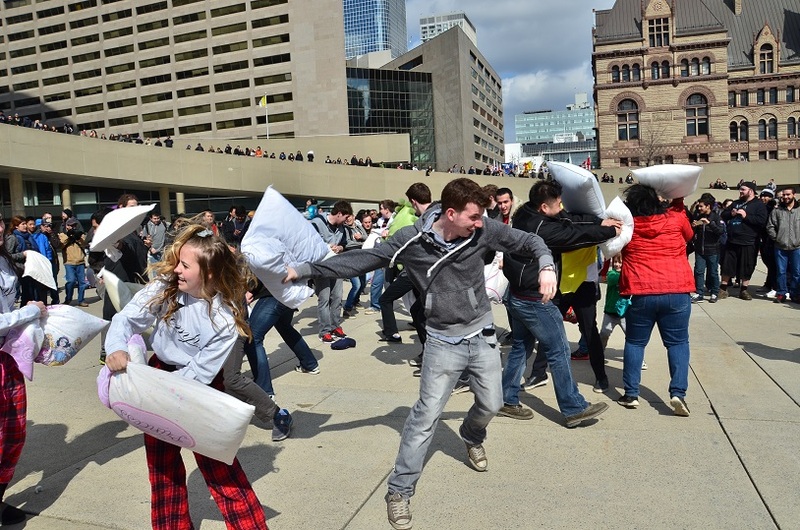 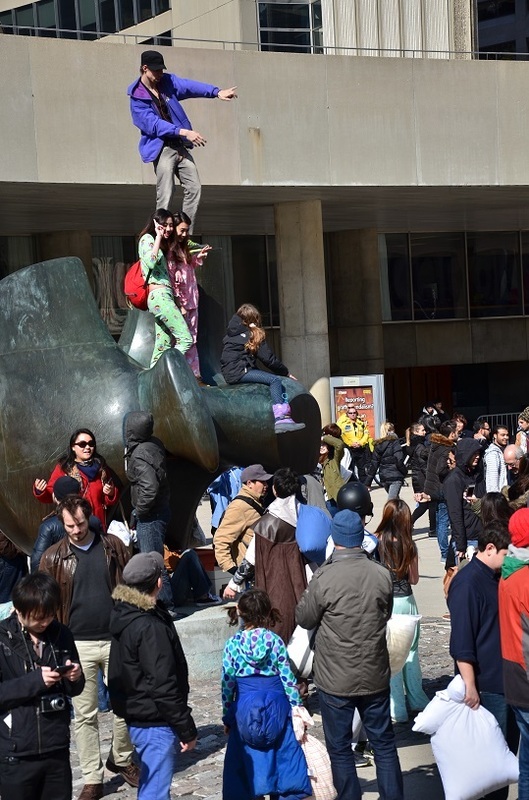 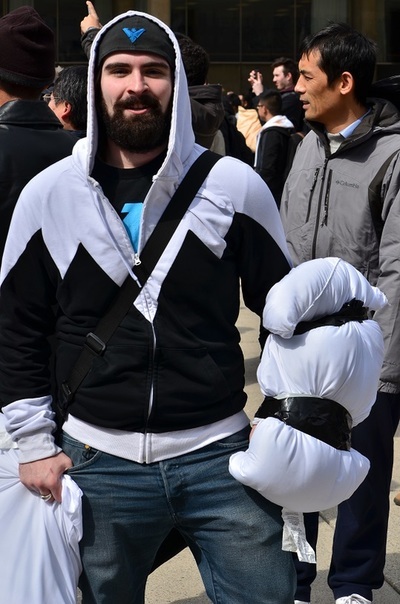 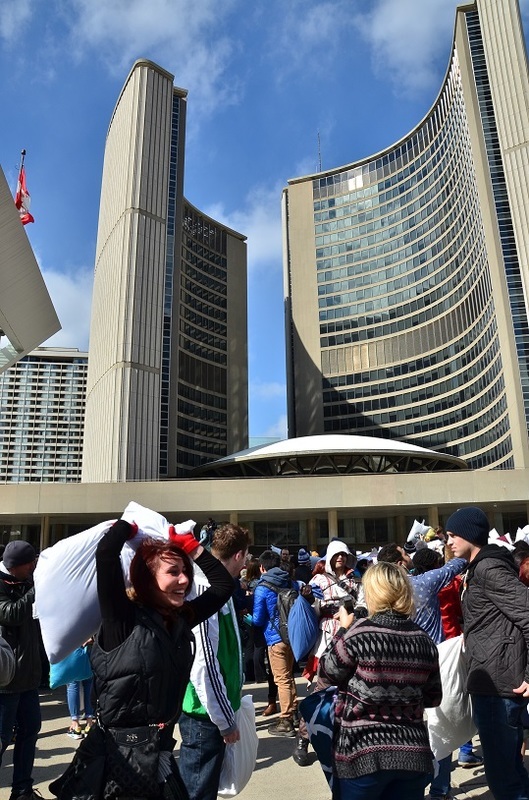 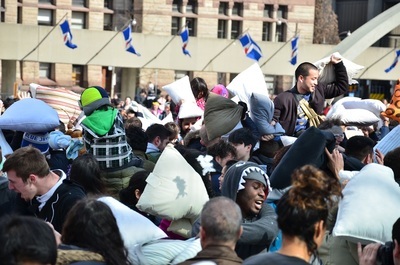 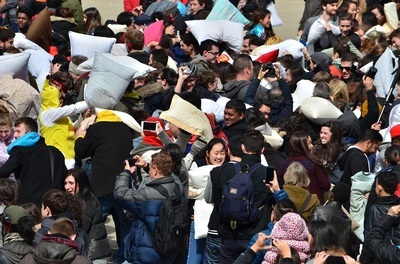 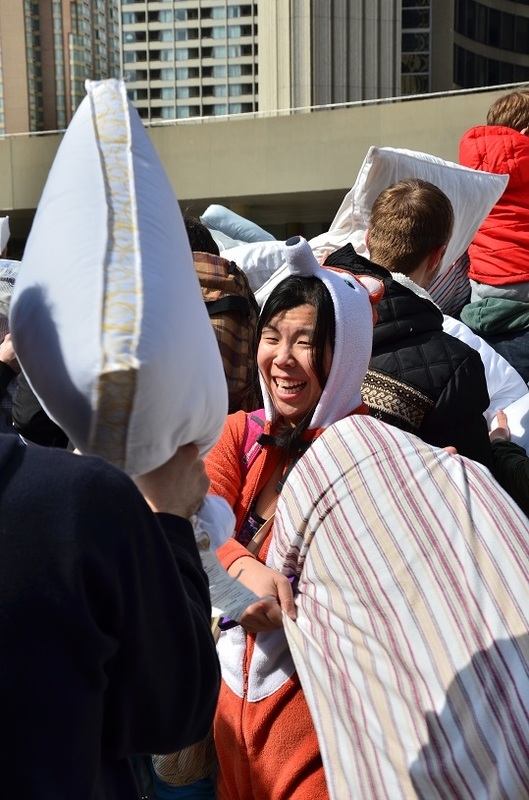 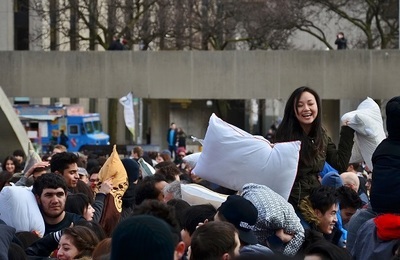 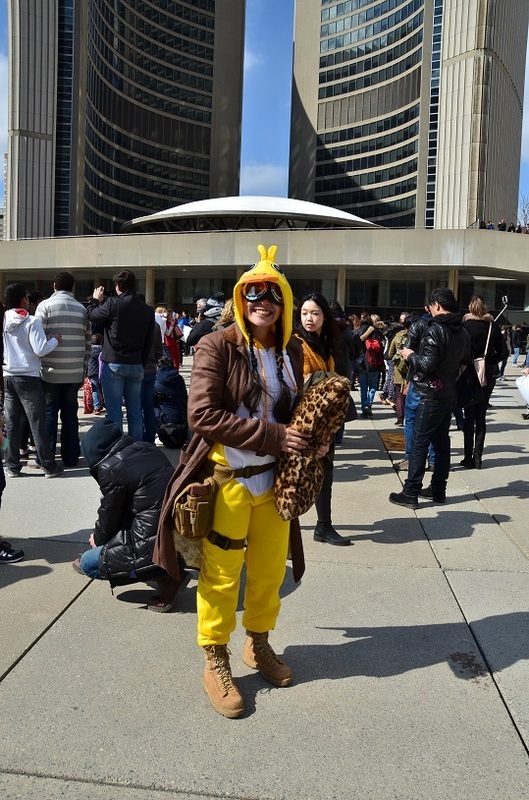 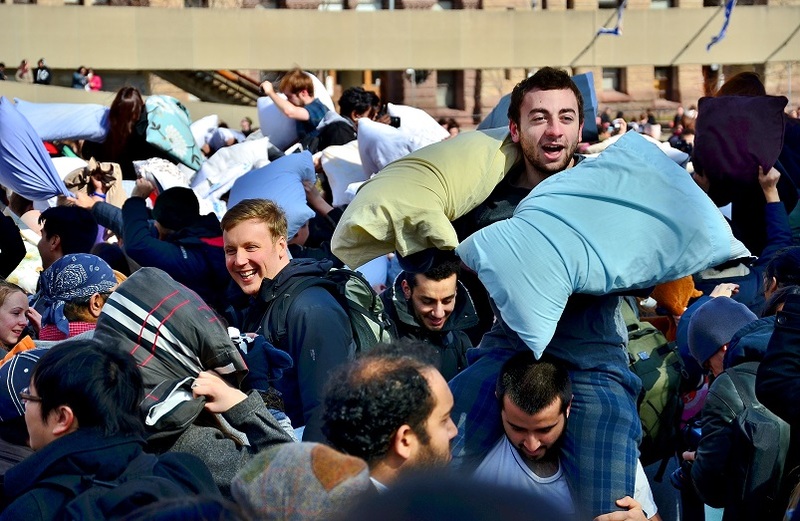 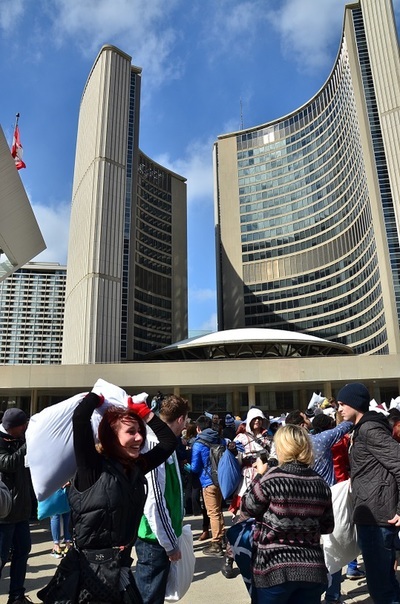 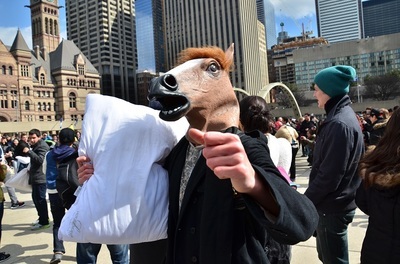 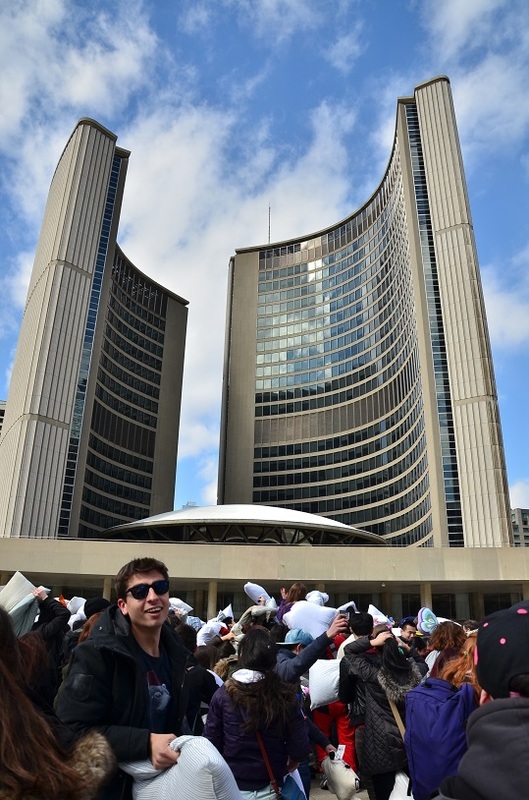 Hundreds attended International Pillow Fight Day in Toronto. 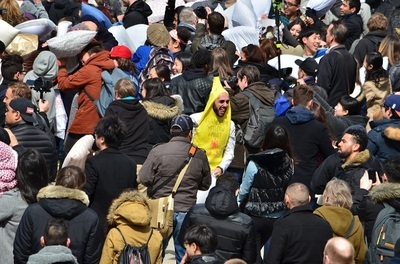 Over a hundred cities, from Helskinki to Taipei, participated all over the world.